Don’t be bogged down by delays while you are missing a critical component for your production line, workshop, mining equipment or farm when NF Engineering can help you! We use 3D CAD Software to quickly and accurately model the components for a variety of projects or parts. We transform complex designs into 3D Models that are ready for prototyping or production, depending on what stage you are in. We have the experience to guide you from your initial concept idea, all the way to actual fabrication right here in the fabrication shop in Perth. We create realistic 3D Digital renders derived from your sketches or technical drawings. From this, you can preview your models look and feel along with the interaction other parts or endpoints in the operating or installation environment. Once previewed, you can either make changes with the help of our 3D CAD specialists, order a full size or scale prototype, or go straight into production. 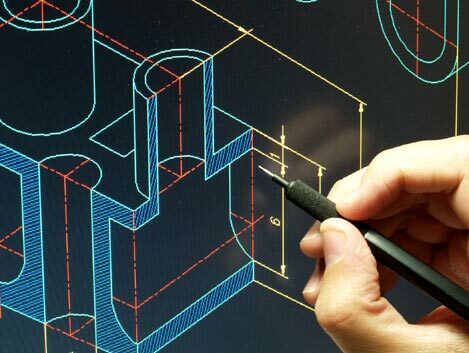 So, what is CAD/CAM design? It is a specialised 3D modelling software that creates a detailed digital model; even moving parts can be programmed into the model to check clearances and troubleshoot issues. The software outputs a series of tool movements, which will direct a machine controlled by CNC (Computer Numerical Control). Not only will you be able to produce a part that is exceptionally accurately machined, but once the final digital model has been created, you’ll reproduce it as many times as necessary, without ever having to compromise accuracy. Our 3D CAD Designers are based in Perth, making it easy for you to collaborate with them. You will receive constant progress updates and 3D rendering for approval before fabrication of your model is complete. Give us a call today if you need custom fabrication for your construction site, workshop or architectural feature.